Tararua, made entirely of words! A new word picture to leave you Lost for Words! Tony Lozell is a Tararua man - born and bred. 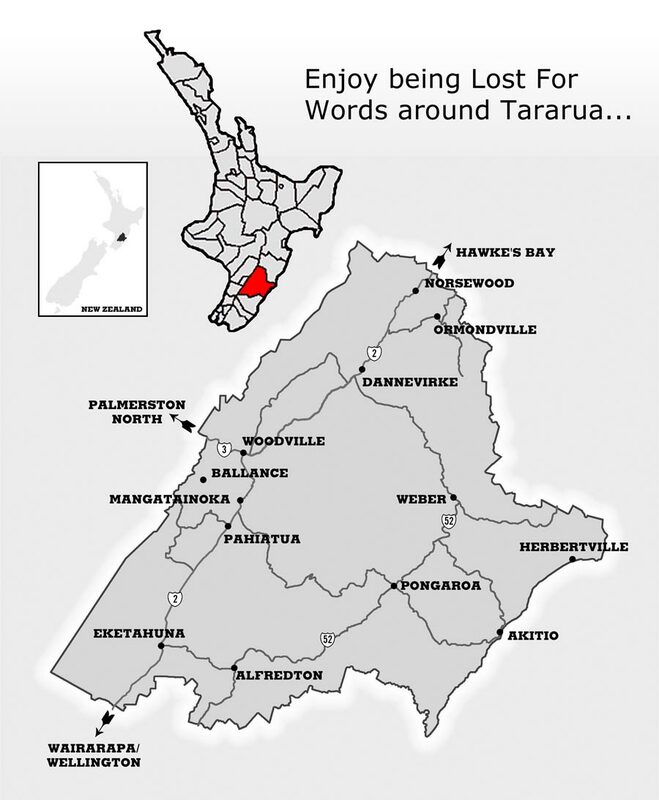 He has owned some of Cecilia Russell’s word pictures for some time, and decided there really should be one of Tararua! 'Lost for words’ seems to suit him - he is a do-it man, rather than a talk-about-it man. So - he made it happen. 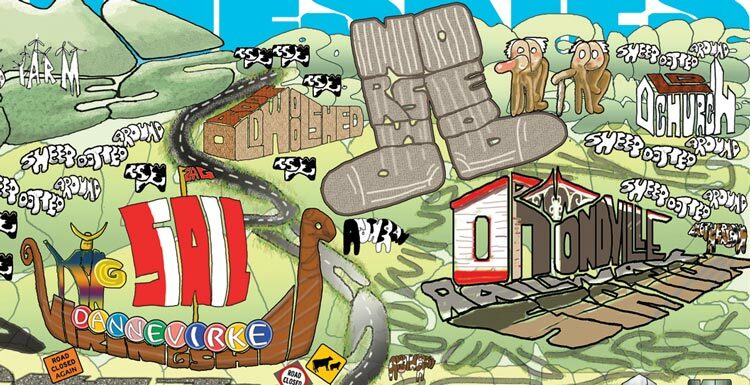 Tony commissioned Cecilia to create this Tararua word picture as a set of prints, which he owns and markets. Tararua District has a population of 17,800 (June 2017), and an area of 4,360.56 km². The district's chief town is Dannevirke, settled by immigrants from Denmark in the 19th century. When Europeans settled the area, it was almost entirely forested and was called "Forty-Mile Bush". Industrious clearance has made it a busy pastoral district, although the region close to the Pacific coast is still sparsely populated. The original name lives on in that of the local National Provincial Championship rugby union team, Wairarapa-Bush. This is available as a high quality paper print in a tube, or a high quality stretched canvas print. Click below to have a look (watermark not visible on final print). This artwork is © Copyright Cecilia Russell 2018. Tony Lozell has exclusive rights to the sale and use of prints of this image. Permission from Tony Lozell and Cecilia Russell are required for any use of all or part of this image, printed or otherwise.